There is much debate in media circles around the concept of ‘citizen journalism‘. Individuals are increasingly using the rationale that the fact that they run a blog is validation of their status as a bona fide member of the press. While most of us are happy to advocate free speech and the existence of an open press, not everyone is convinced of the true worth of so-called participatory or democratic reporting by the population at large. One group who are behind the concept of ‘street journalism’ is OpenPlans, a New York based not-for-profit team of 60 software engineers, designers, analysts, educators and journalists. OpenPlans believes that open source software can provide a business model that will make new digital media companies of the future profitable – and, crucially, provide relevant, quality information directly to the reader, online and in real time. It’s all rather US-based at the moment, but what would you expect from a New York based not-for-profit start up? Current projects include, EveryBlock which is (you’ve guessed it) news just for your block of the street. There’s Street’sBlog too, which ought to be self explanatory if you have read this far. The major goal for OpenPlan now is to simplify and accelerate adoption of the open source code for EveryBlock.com and help fuel the production of geographically relevant news feeds. The organisation’s open source software, called OpenBlock, is being installed at two different-sized newspapers, The Columbia Daily Tribune and The Boston Globe. The Tribune, in Missouri, will use OpenBlock as a stand-alone website. 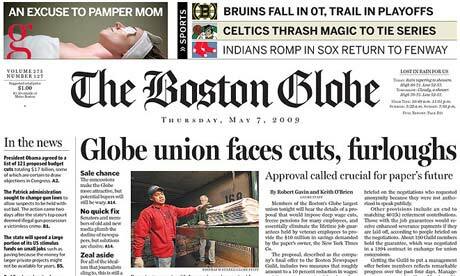 The Boston Globe will test widget integration with their broader digital product suite. “As governments make more data publicly available, it creates a need for tools and strategies that citizens can use to derive value from these data sets and improve their communities. Making block-by-block data available on an open source platform improves the accessibility and usability of this information and encourages people to collaborate, communicate and develop applications that enhance their daily lives,” said Nick Grossman, OpenPlans’ director of civic works. If you want this journalist’s opinion of this project I’ll give it to you because I think there is a very fine line to tread between civic information services and citizen journalism. More local community information is great; it is always a good thing in fact. Giving unrestrained reporting power to the masses under an unmanaged fragmented system that has little or no track record in terms of journalistic heritage – well, do you really need to ask my opinion on that?